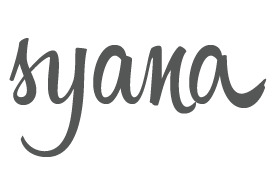 SYANA 2019 Gurmat Retreat: Registration Open! Registration for this year’s annual Gurmat Retreat is now open! SYANA Gurmat Retreat is an annual tradition that brings together Sikhs of all backgrounds to connect & reflect on the wisdom and daily practice of Sikhi – all while spending a weekend surrounded by nature in Jackson, MI. This year is especially special. 2019 marks the 550th year since Guru Nanak’s arrival into this world. Guru Nanak instigated a personal and communal revolution that the world has never seen before and yet to fathom. In the words of Bhai Gurdas, “Bliss envelopes the world! Guru Nanak brings freedom in the age-of-ignorance.” (Var 1, Pauri 37). As heirs to this incredible legacy, we center the theme of retreat around Guru Nanak: 1469 to Eternity in hopes to understanding the enigma & revolutionary that was our first Paatshah. For more information about this year’s retreat, visit our FAQs. Please join us for an inspiring weekend. SYANA 2019 Gurmat Retreat: Save The Date!